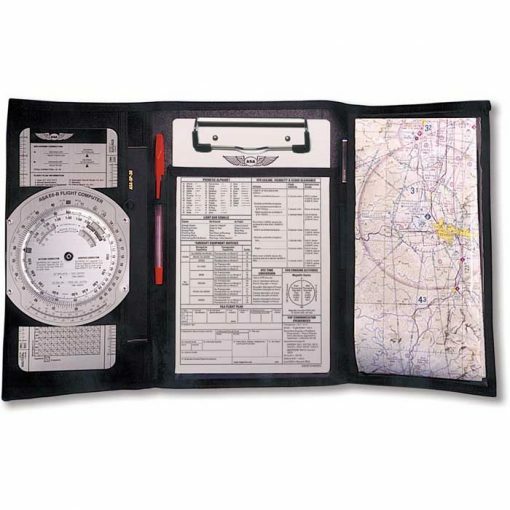 ASA Tri-Fold Kneeboard KB-The elongated kneeboard (6-1/2″x10-1/4″) accommodates all aeronautical charts without additional folding. 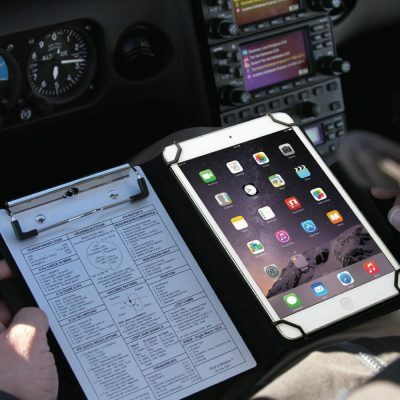 For the pilot looking for a flight “briefcase,” the kneeboard fits snugly into a three-panel jacket. The left panel has ample room for small books, papers and oddly-shaped items. 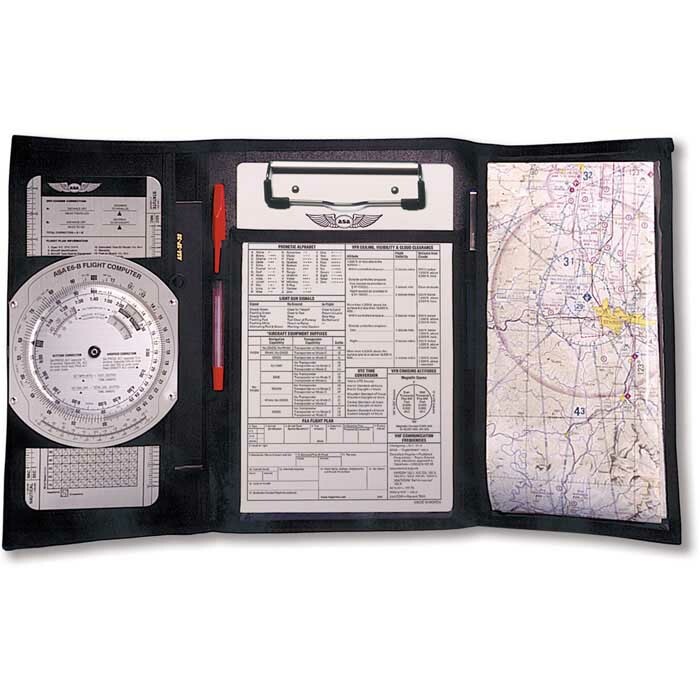 The center panel holds the kneeboard under clear plastic with a pen/pencil holder and buttonholes on either side — allowing a pilot to fold back one or both panels with the leg band. The right panel contains a clear pocket for easy map viewing, and the elastic leg band’s Velcro closures fit any leg size comfortably. Black nylon with embroidered silver wings logo.